What is the BUILD Transportation Grant? 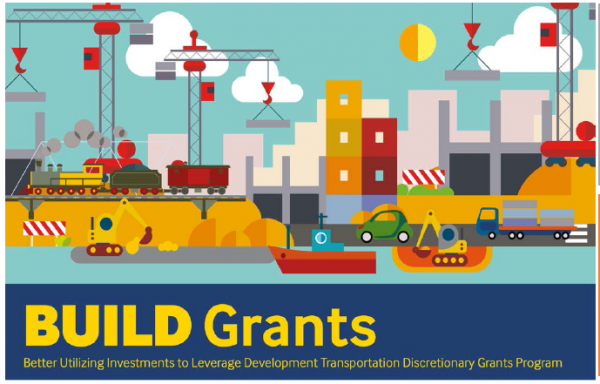 In April 2018, the U.S. Department of Transportation (DOT) announced an opportunity for organizations to apply for $1.5 billion in discretionary grant funding through the Better Utilizing Investments to Leverage Development (BUILD) Transportation Discretionary Grants program. This funding is due to the Consolidated Appropriations Act of 2018. BUILD Transportation grants replace the pre-existing Transportation Investment Generating Economic Recovery (TIGER) grant program. The 2018 BUILD Transportation grants are for investments in surface transportation infrastructure. They are to be awarded on a competitive basis for projects that will have a significant local or regional impact. BUILD funding can support roads, bridges, transit, rail, ports, or intermodal transportation. Projects will be evaluated based on criteria that include safety, economic competitiveness, quality of life, environmental protection, state of good repair, innovation, partnership, and additional non-Federal revenue for future transportation infrastructure investments. For this round of BUILD Transportation grants, the maximum award is $25 million, and no more than $150 million can be awarded to a single State. Plus, at least 30 percent of funds must be awarded to projects located in rural areas. Paducah is classified as a rural area. At its July 10, 2018, meeting, the Paducah Board of Commissioners approved applying for the BUILD Transportation Grant. The City of Paducah is partnering with the Paducah-McCracken County Riverport Authority to seek grant funds totaling $24,895,759. The program of projects is called Riverfront to Riverport: Investing in Paducah’s Maritime Hub. The Port Authority is seeking $10.8 million to construct a loading area for general cargo and containers. The City’s funding request, which totals slightly more than $12.6 million, would be used to construct a landing/excursion pier to provide a docking point for the steamboats and to complete the riverfront park area called Paducah Commons. If funded, the City would have until the summer of 2020 to begin construction. The Board of Commissioners also approved providing a 20 percent match to the City's funding request. Landing/Excursion Pier for Steamboats - The landing/excursion pier was identified as a project to enhance Paducah’s riverfront in the 2007 Riverfront Master Plan created by JJR. Numerous steamboats including the American Queen, Queen of the Mississippi, and American Duchess visit Paducah between April and December bringing thousands of visitors to enjoy Paducah's riverfront and downtown. This pier will improve the accessibility for the visitors as they navigate from the steamboats. Paducah Commons - A portion of the City’s funding would be used to develop the former Executive Inn hotel site into the Paducah Commons. After the purchase and demolition of the hotel, the City of Paducah now has an opportunity to develop a critical piece of property along Paducah's riverfront. 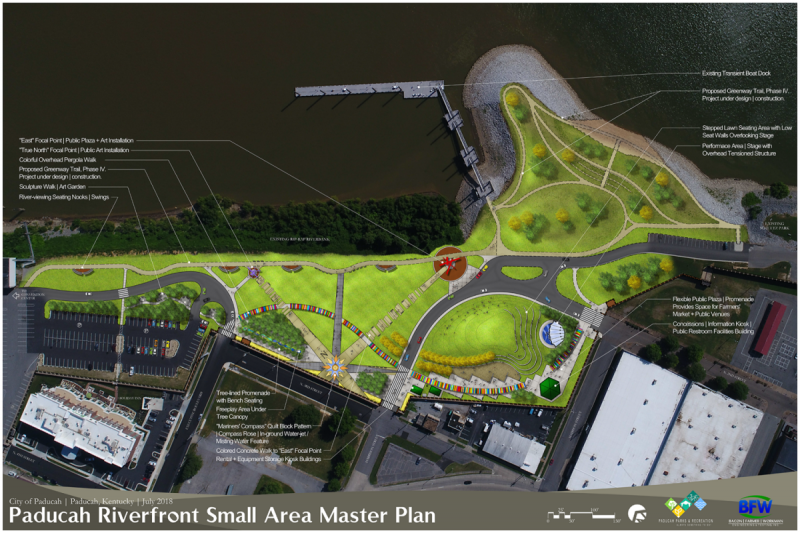 The Paducah Commons Small Area Master Plan covers approximately six square blocks located on the Paducah riverfront between the Julian Carroll Convention Center and the rehabilitated Schultz Park and transient dock. The 340-foot transient dock opened in the summer of 2017. The Paducah Commons site is key in that it exists adjacent to the Holiday Inn Paducah Riverfront which also opened in 2017. The park will act as a major transition and transportation corridor between Downtown Paducah and the Convention Center. The City looks forward to the economic development that the creation of the park will generate due to its connectivity to the Riverfront. The park also will help spur private redevelopment in Lowertown and the area from the Convention Center to Downtown. The Paducah Commons Small Area Master Plan was completed by RATIO Architects in 2015 with additional design work completed by Bacon Farmer Workman Engineering & Testing. The process was a collaborative effort between RATIO’s project design team and the Paducah riverfront stakeholders of neighborhood, community, and business leaders. 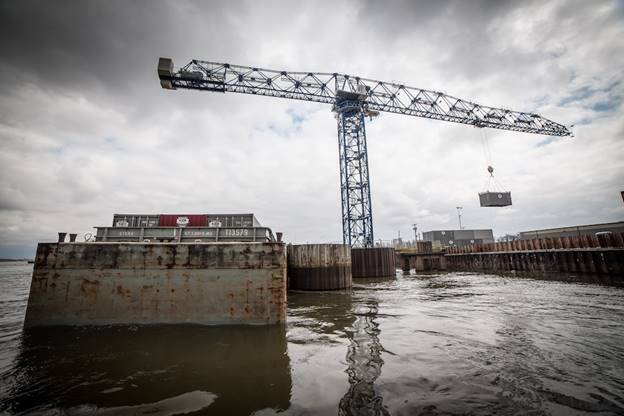 The Paducah-McCracken County Riverport Authority in Kentucky is pleased to submit an application for $10.7 million through the BUILD Discretionary Grant Program (BUILD FY18). This grant application addresses the opportunity to provide the land side infrastructure needed to provide a cost-effective Container on Barge (COB) service from the Paducah area that can serve the region. The COB service will empower the Western Kentucky Region to become an economic engine by enabling the Paducah-McCracken County Riverport Authority to facilitate foreign and domestic trade for current and future clients. In addition, the COB service has the potential to attract manufacturing and distribution centers to the region due to the direct access to blue water ports that this service will allow. The Paducah-McCracken Riverport Container Transfer Yard Development Project is a rural maritime development in the Jackson Purchase Region of Kentucky. This project will have a significant impact on our four-state region (Kentucky, Illinois, Tennessee, and Missouri) by offering a safe, economical, and eco-friendly transportation mode for international and domestic shippers of containerized and general cargos. The project will foster manufacturing and distribution center developments, the construction and engineering industries, as well as the river industry, and create opportunity for job creation and security for the under and un-employed residents in the region. The project will better utilize established multimodal connectors, reduce heavy long-haul truck miles traveled from Blue Water and Inland ports on our nation’s Interstate systems, decreasing highway maintenance and future infrastructure requirements for the Southeastern United States, and reduced transportation expense with a lower cost alternative for the region’s shippers. The project will open global markets to our agricultural communities that prefer container shipments of Kentucky’s superior agricultural products. The project will support the Paducah-McCracken County Riverport Authority’s U.S. Department of Transportation - MARAD’s Marine Highway Designation granted on July 7, 2016, on a long-term basis to support economic development in Kentucky, Tennessee, Illinois, and Missouri. This project will enable containers to move on the Department of Transportation – Maritime Administration’s (MARAD) Marine Highway System. The purpose of this project is multi-fold. The first and most important is to provide regional shippers with a safe, cost-effective option to move goods to both domestic and international markets. The second is to contain congestion by reducing vehicle miles traveled (VMT) on the local and regional highways. This in turn improves Safety and “State of Good Repair” on our regional road network through the reduction in VMT which will reduce the required maintenance of these roads and highways and make them safer as freight is moved by river instead of by road.